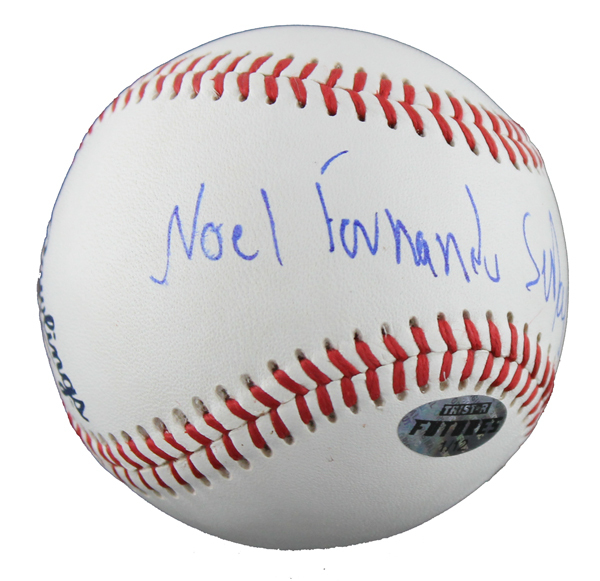 Fernando Salas hand signed with his full name, "Noel Fernando Salas Buitimec," this Minor League baseball. Fernando Salas is a Major League Baseball pitcher for the St. Louis Cardinals. He won the World Series in 2011 with the Cardinals after being called up in May of 2011. This Fernando Salas autographed baseball includes an individually numbered, tamper-evident TRISTAR Authentic hologram. The authenticity of your item can be verified at www.tristarauthentic.com, where you can also print a certificate to display with your item.